2. Lancaster, Clay. The Japanese Influence in America. New York: Rawls, 1963. Reprint, New York: Abbeville, 1983. 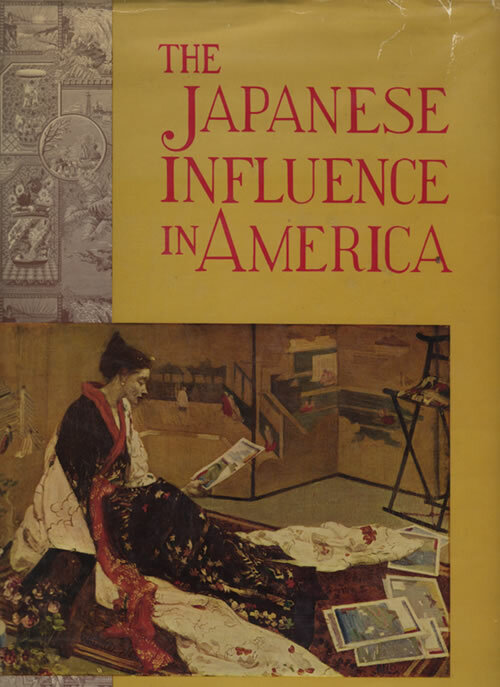 A landmark study of American Japonisme and the larger allure of Japan in the United States from Perry’s arrival at Uraga through the first half of the twentieth century. Lancaster’s focus is the fine arts, gardens, and particularly architecture, but the work nonetheless succeeds in defining a broad American interest in Japan and the effects of this in American art and culture in the years under study. Includes more than 200 illustrations, opening chapters that place the influence in historical context, and passing discussion of several writers of interest here, including Amy and Percival Lowell (see D6), Hearn (D9), Fenollosa (D10), Noguchi (D15), Okakura (D16), and Pound (see index). See also 11.